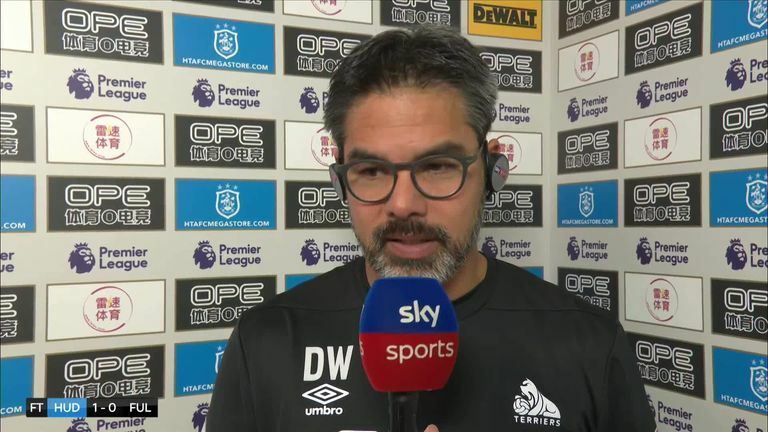 David Wagner hailed Huddersfield's 1-0 win over Fulham as "one of my biggest" as manager of the club. The Terriers moved off the bottom of the Premier League with a first win since April 14, leapfrogging their visitors in the process, thanks to Timothy Fosu-Mensah's own goal in a 1-0 win at the John Smith's Stadium. Wagner, who defied critics by taking Huddersfield to the Premier League in 2017 before keeping them there the following season, hailed the size of their victory in his 143rd game in charge. "It's huge for us," he told Sky Sports. "We really have now the winning feeling back, and a clean sheet as well, it's for sure one of the most important wins we have had in the last three years, because after 10 games without a win and some unlucky situations, everyone needed the belief back and we have done that today. "Have you ever not won a game for six and a half months? It's difficult to explain but obviously, the biggest problem for us was that we had so many good performances in the past, especially at home, Liverpool, Tottenham as well, Burnley away, but without goals, points or a win. "Last weekend [in a 3-0 defeat at Watford] we under-performed and did not look solid defensively, but we were better today and nothing is more important than the winning feeling and the happy faces in the dressing room and around the whole club." After a tough start to the season, with two points from the Terriers' opening 10 games, Wagner is already targeting more wins in the coming weeks with the likes of Newcastle and Brighton to visit West Yorkshire in the next six weeks. "The good thing is we are back in the race after 11 games of the season," he said. "If you look at the fixtures we have had, it's not the easiest, and if you look at the ahead of us I think there are teams around our area where it will be an open game. "We were the team who really wanted to win today, and I'm delighted for the players."